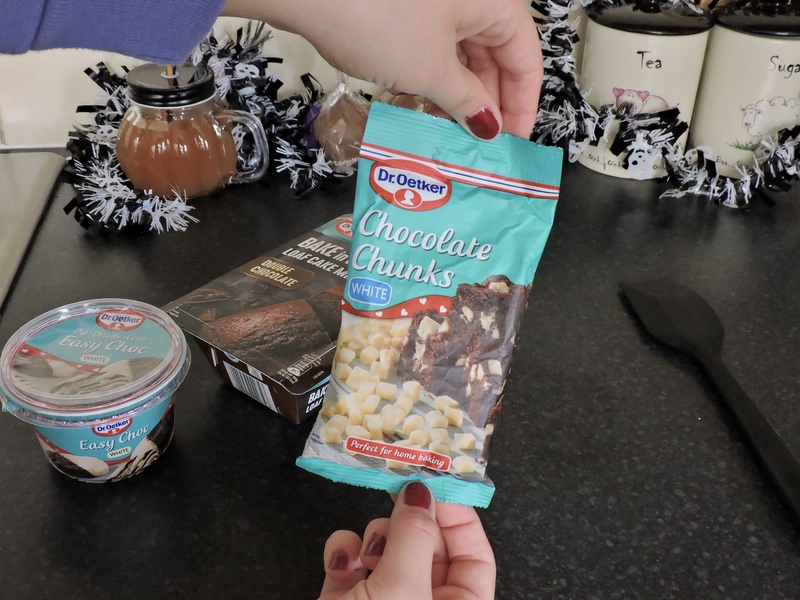 When Dr.Oetker kindly sent me* their Double Chocolate Bake in a Box and some extra bits, I knew I wanted to make a cake for Halloween. 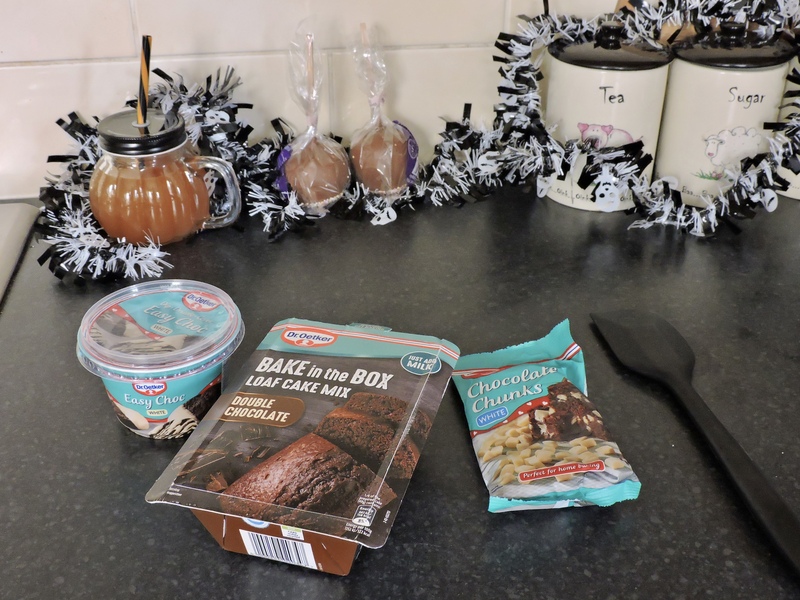 Bake in a box is perfect if you love baking but either don’t think you are very good at it, or you don’t simply have time. 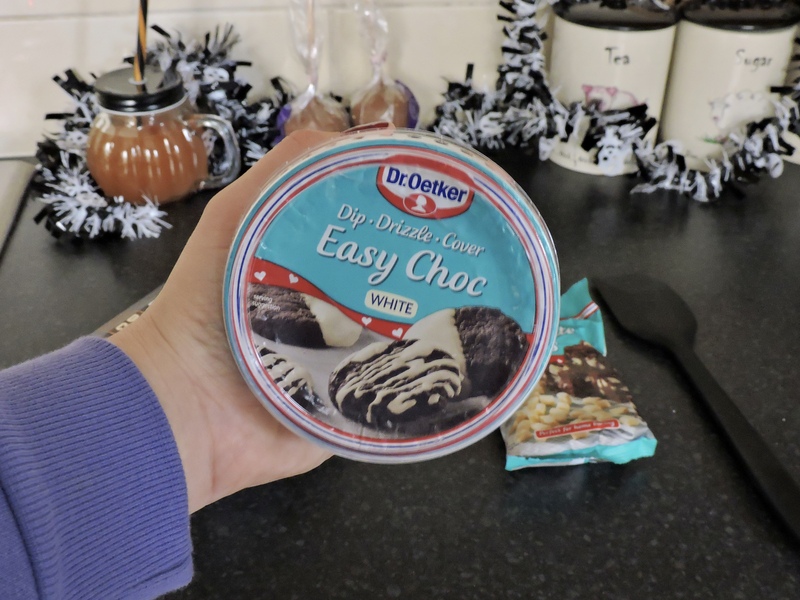 This is perfect if you are having a couple of friends over or a family get together as you are guaranteed to have the perfect cake at the end of it. 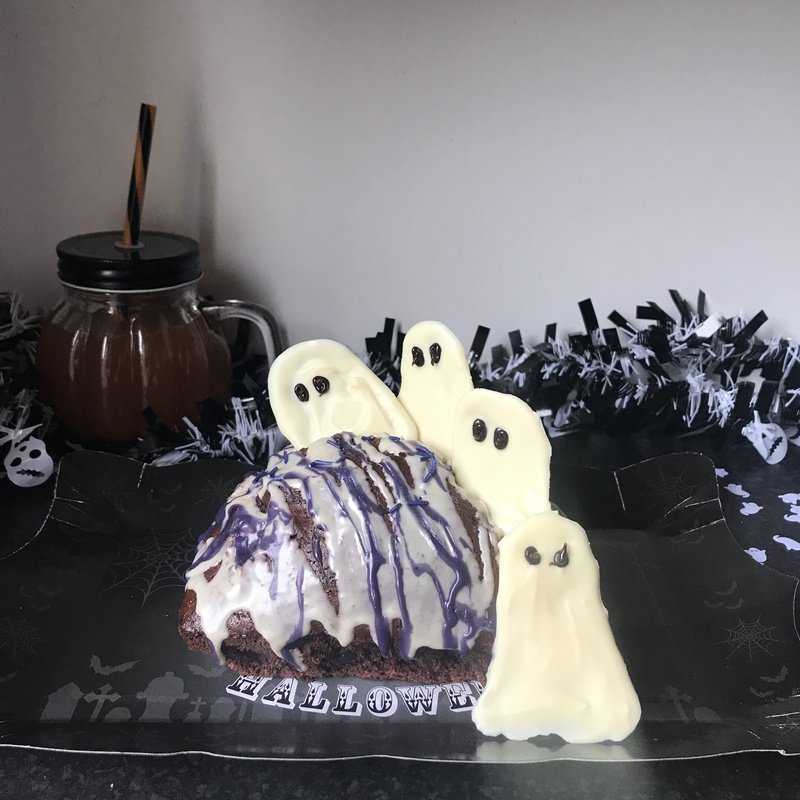 This cake is great if you are having a spooky games night in this Halloween. 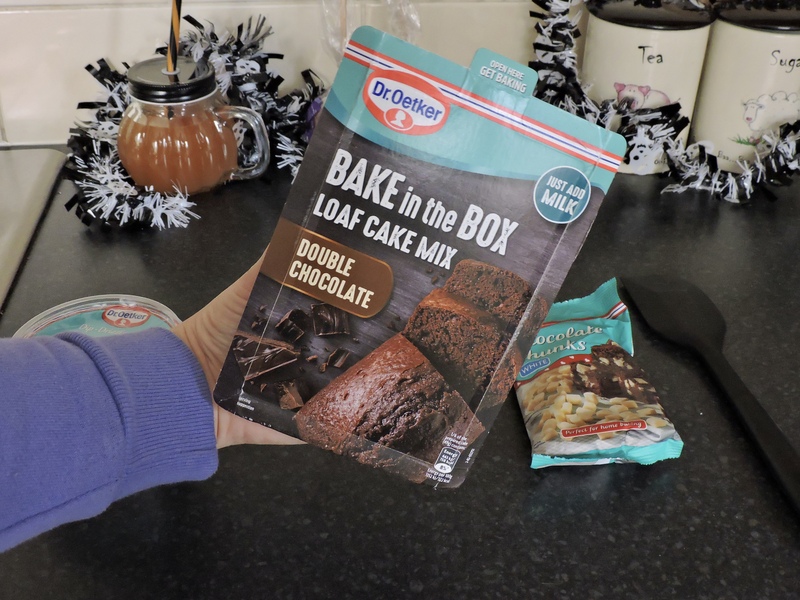 Each Bake in the box is around £2.50 which is a really good price considering it is guaranteed to give you the final result. 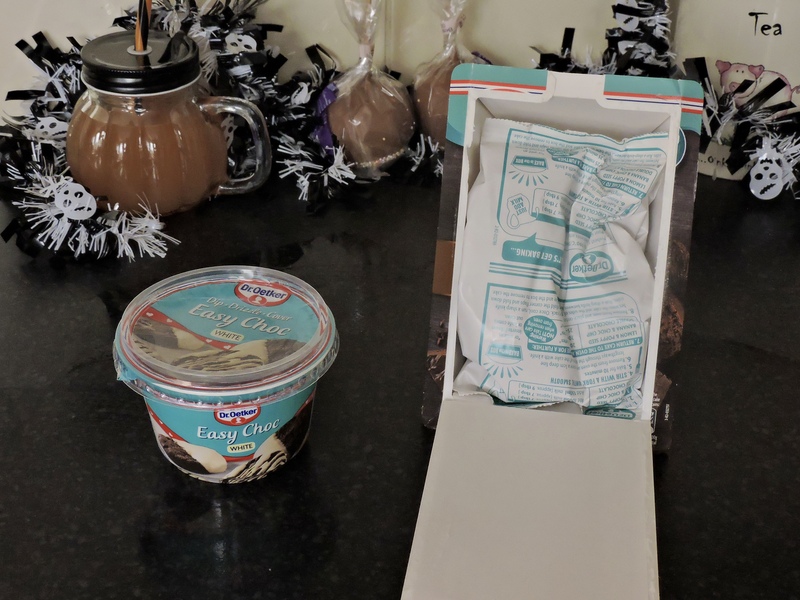 Everything you need to make this cake is literally inside the box, all you need to do is add 9 tablespoons of milk and you are ready to go. Super quick and super easy! 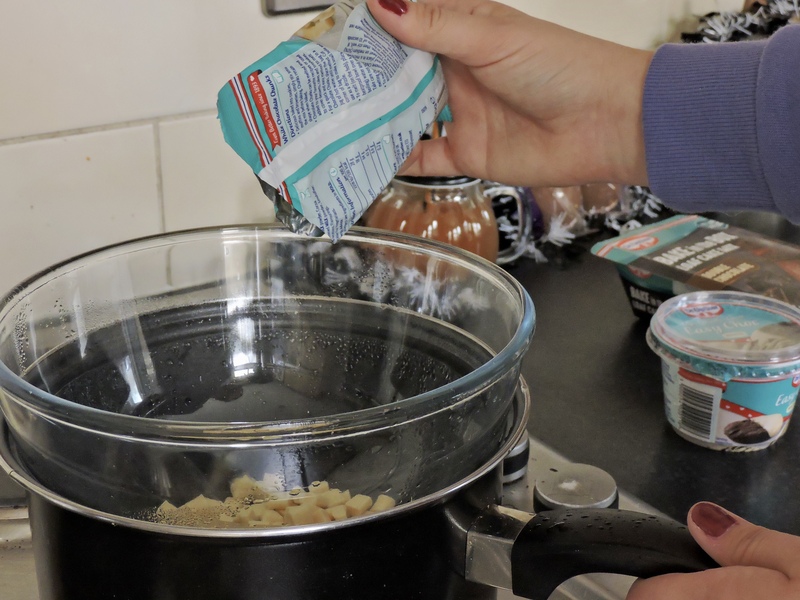 Turn the hob on, put some water in the pan making sure that it isn’t touching the glass bowl. 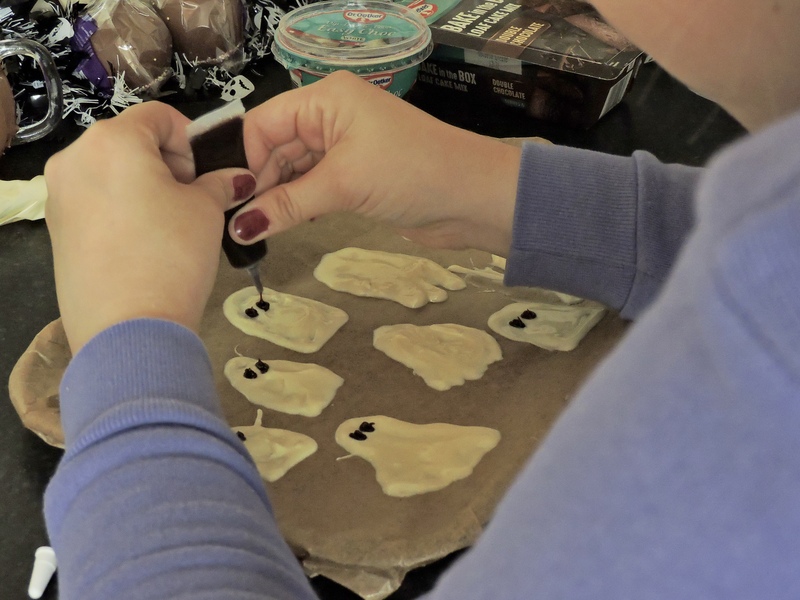 Then pour in the chocolate chips and let them melt, continue to stir them. Once melted, get a tray and place some baking parchment on it. 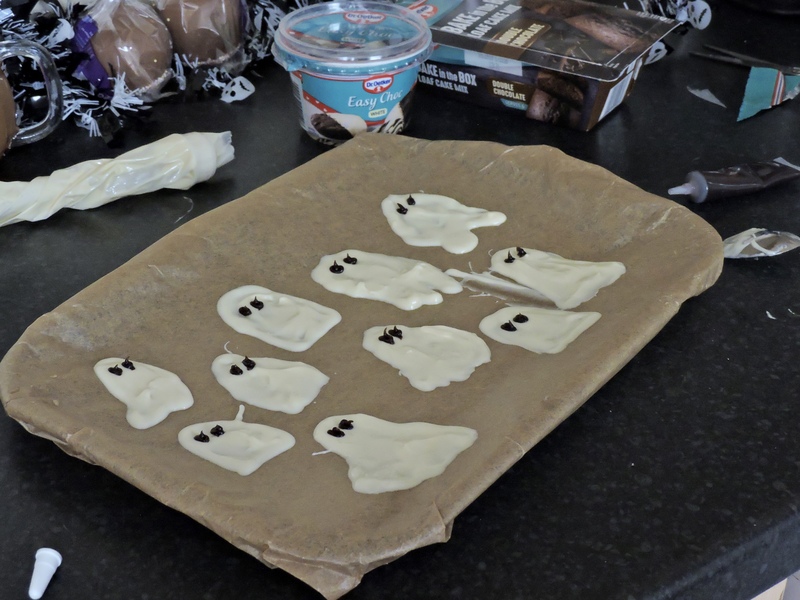 Using a spoon, spoon the white chocolate onto the sheet and try your best to create some ghosts (don’t judge my ghosts, even though the one in the top right corner looks like a monster with 3 legs) then dollop some black eyes using some dark chocolate. 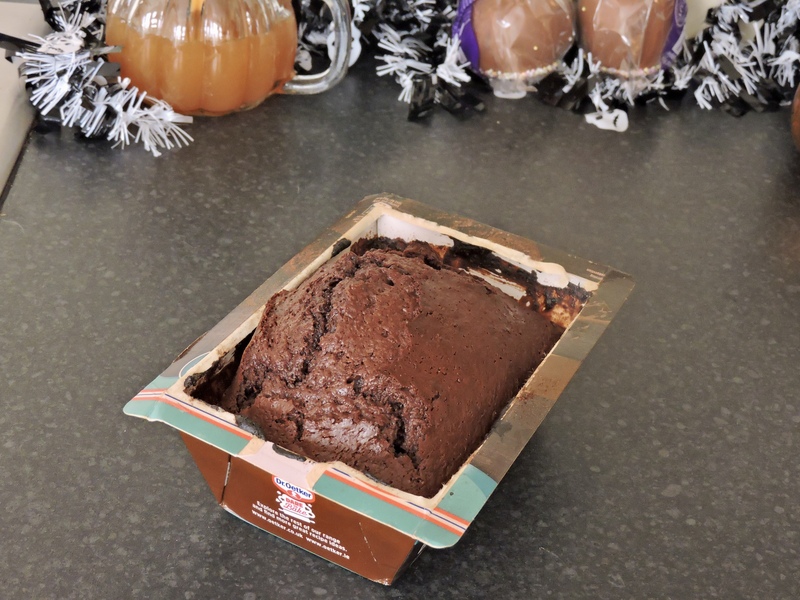 Place this in the fridge and start on the cake. 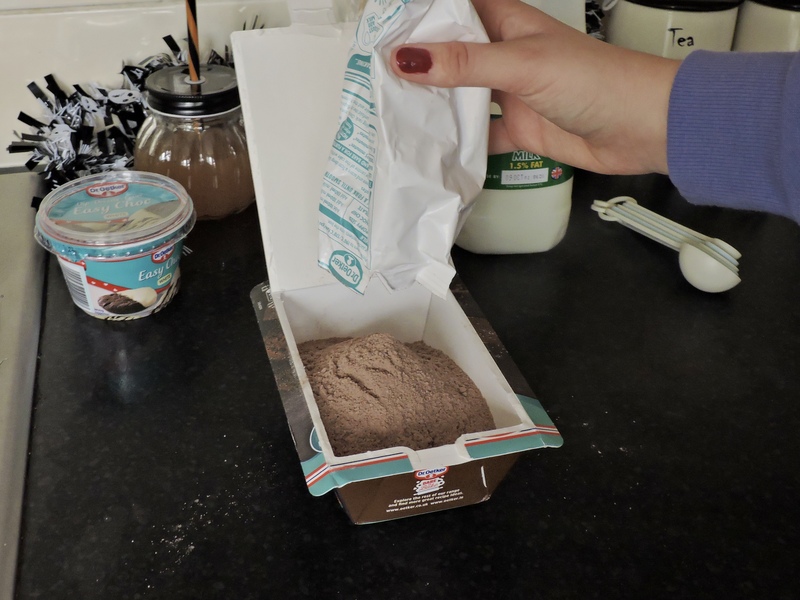 All you do is pull open the lid and the sachet of cake mix will sit nicely inside the box. 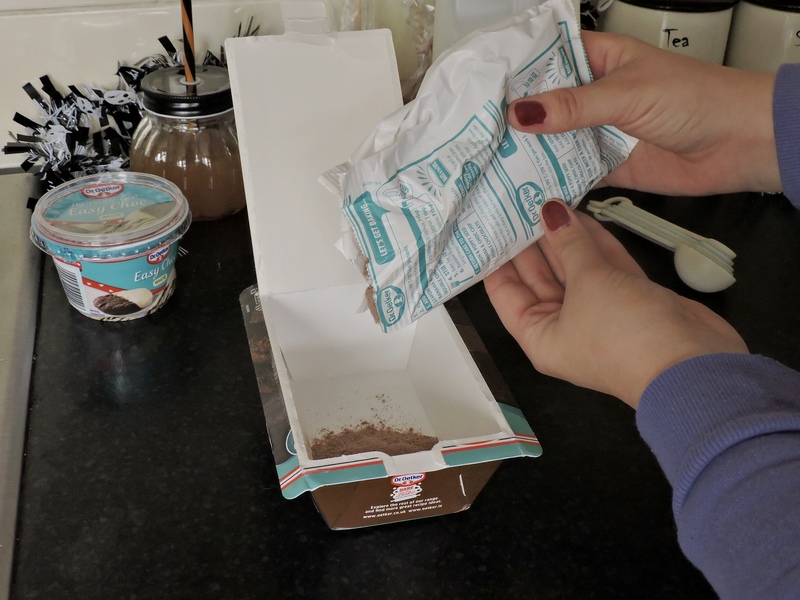 The method, how long you will need to bake the cake for and how much milk you will need will be on the side of the packet and also on the bottom of the box. 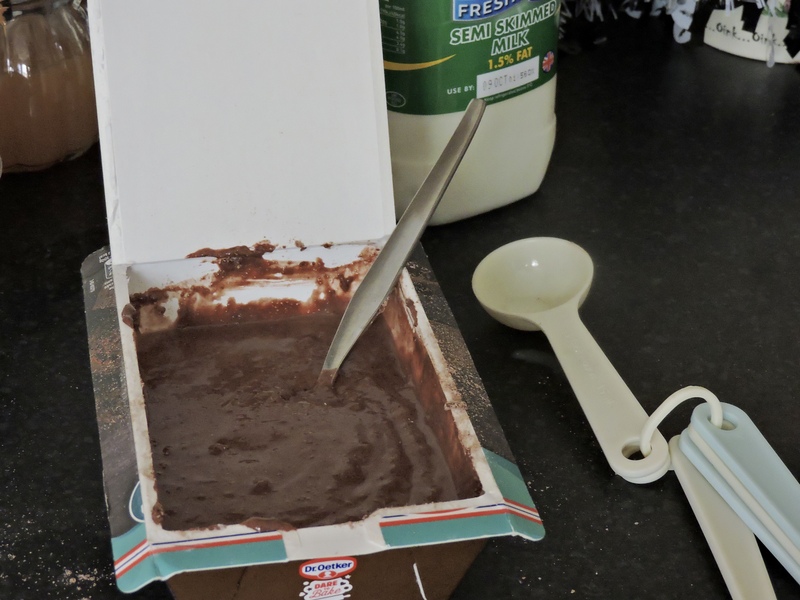 You will need to add 9 tablespoons of milk into the cake mix then mix altogether. Make sure that you have mixed the cake well and all of the lumps have gone. Pop it in the oven for 25-30 minutes. 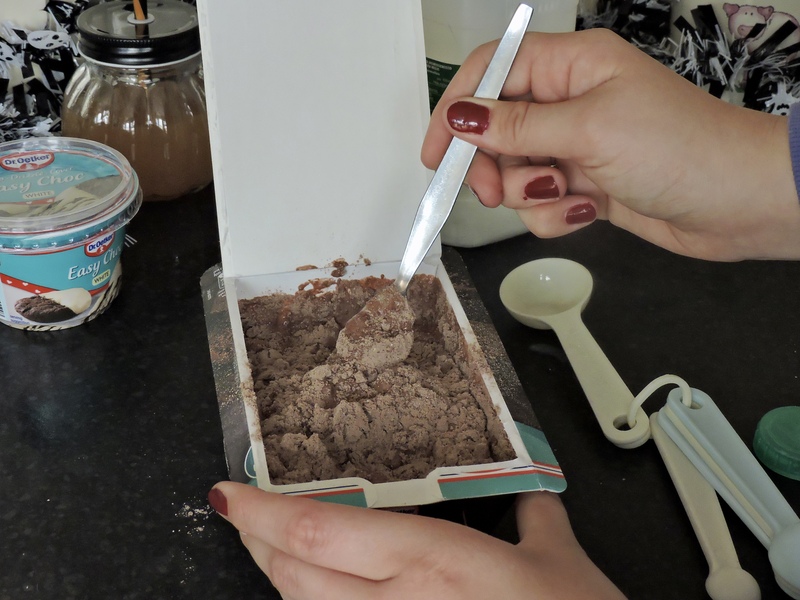 Once been baked for 10 minutes, poke a whole in the middle of the cake and bake for the additional time. Once it is baked, take it out of the oven and place on a wire rack or on the side. 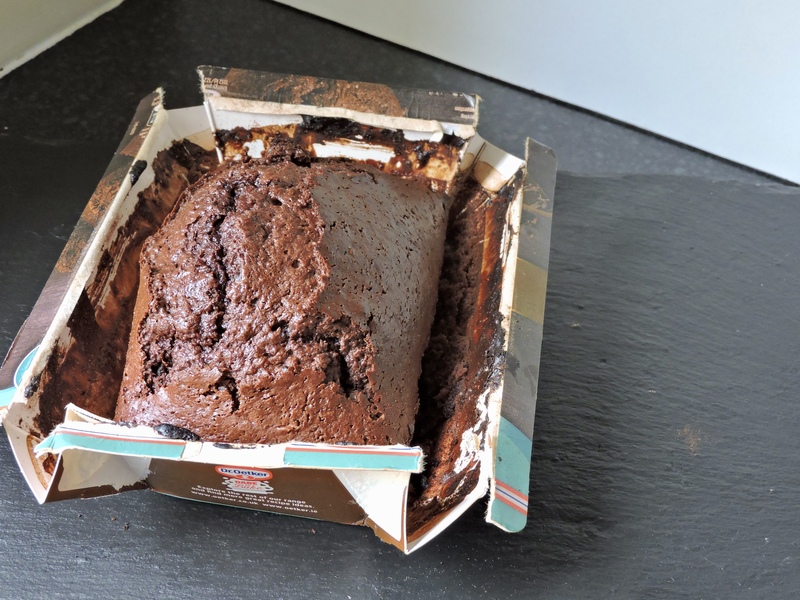 Peel off the sides and leave the cake to cool. Once cool, you can now decorate. I melted the Easy Choco in the microwave for 30 seconds and poured this over the cake. I then made up some more icing and added some purple food gel. I poured this on top of the cake too and then got the ghosts out of the fridge and stuck them into the cake. This is so cute! I think my son would love them. As soon as he sees me baking, he wants to help. 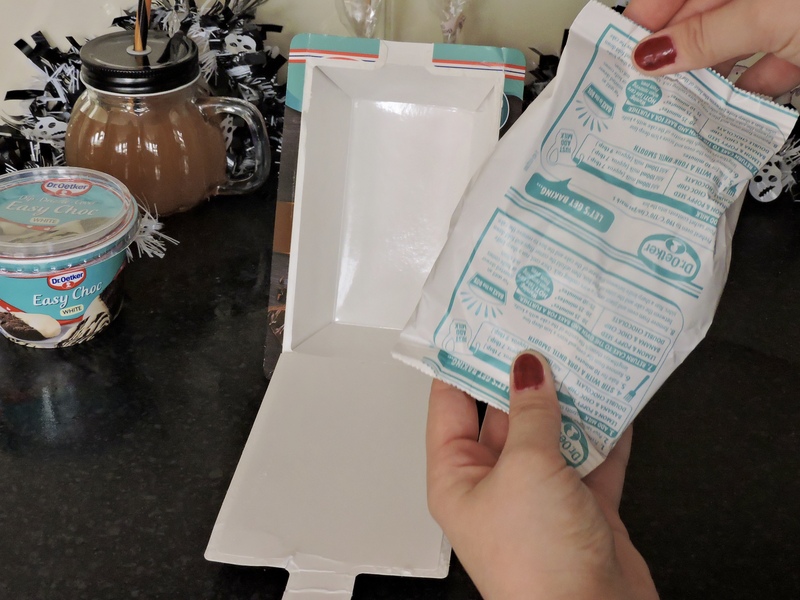 This is such a good idea, also perfect for when you’re short on time! 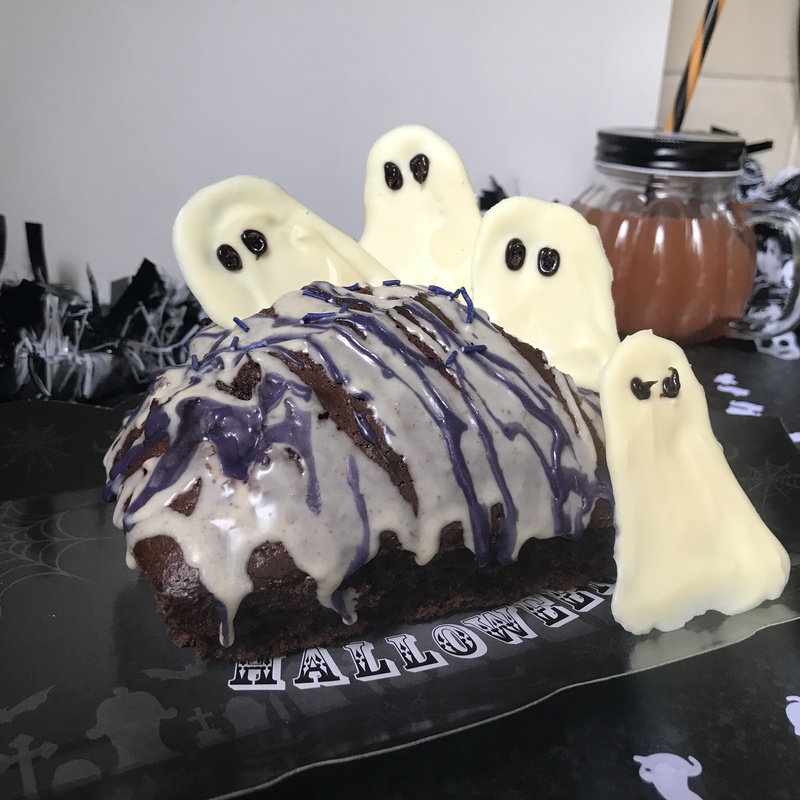 This post has got me in the mood to do some Halloween baking! Right? I think it is so inventive. I haven’t seen this anywhere else. DO SOME!!! That is some of the best packaging that I’ve seen!!! These bake in a box cakes look so good. Love the Halloween decoration! Everytime I see one of your recipes, I get a taste for whatever you made lol. 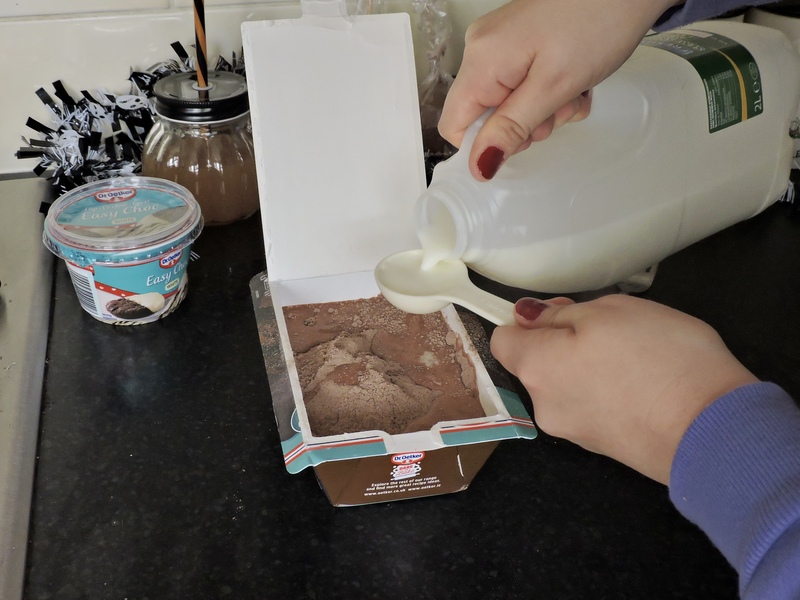 This looks so yummy & fun to make!